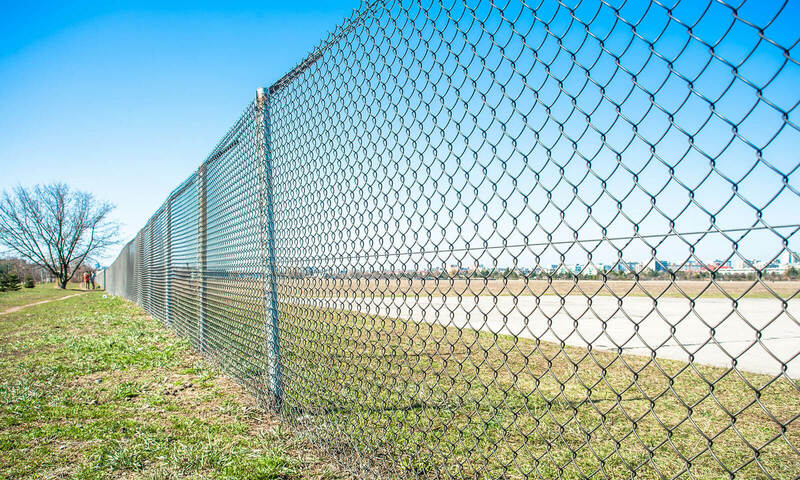 Our chain-link fencing line includes fence panels, gates, and all the needed assembly accessories and installation parts. It can be used for residential, commercial, and even agricultural purposes. Besides this permanent fencing, we also offer temporary fence rentals. Our goal is to provide a complete chain-link fencing package. Rather than shopping at many different places, why not go to a one-stop-shop for your fencing solutions? Fencing accessories include fence fittings, gate parts, installation tools, supplies, and more. We provide whatever is needed to assemble and install chain-link fence. Rather than you running all over the place to gather everything you need, we have done the work for you. We are here to make it easy and stress-free for you to find what you need to set up safe and secure chain-link fencing. Our chain-link dog kennels can be built to meet your exact needs. This means that both standard and custom sizes are available. It also means that all the needed accessories and extras are included to make your kennel complete, including dog boxes, feeder bowls, optional canvas awning, and more. Whatever you need to keep your dog safe and secure inside a kennel is available to you. Over the years we have sold many chain-link fence and kennel jobs to the commercial, residential, and agricultural markets. This gallery showcases some of those projects. It is designed to offer insight and inspire thoughts and ideas for your next project.